These magazines work quite different than custom and consumer titles in many ways, notably editors pitch you ideas rather than the other way around, making your hourly rate go way up. Some trade editors will even provide you with interview sources! Trade magazines are the single best way to establish a clear pipeline of assignments and also maximize your hourly rate when writing for magazines, and we look at how, why, and how to get started writing for them in this week’s webinar. We talk a lot here at Dream of Travel Writing about how you need to set up solid streams of recurring income to make it in this profession. Checks from big glossy magazines can take years (seriously) to come. And spending hours putting together a pitch, working out the details, and nailing a publication’s style for one single assignment from a magazine is simply not worth your time. In my book and our workshops on skyrocketing your freelance travel writing income, I talk a lot about setting up blogging and other types of travel content marketing gigs so you can have a reliable work load and paycheck to anchor you while you work on breaking into bigger markets. But what if you’re not confident pitching yourself cold to companies and tourism boards for such big contracts? Or you’re not super experienced with WordPress or developing a comprehensive blogging strategy? Or, perhaps, you’re simply in this game in the first place because you just really want to write for magazines? If any of those things applies to you, you’re in luck. There is a way to set up a steady stream of recurring travel writing income and write for magazines. You can even do it with newsstand magazines, but that takes much more time, so I’m going to teach you a short cut. The best thing about this short cut is that it’s tried and true–it’s actually the secret behind the stability of a lot of the main bloggers writing about freelance writer generally–and that it’s incredibly overlooked in the travel writing space. And, even better yet, if you’re newer to journalism, this is a perfect opportunity to learn the ropes. This webinar, Writing for Travel Trade Magazines 101, is the first in a series of webinars on what is a brave new world for many of you–pitching travel trade magazines rather than consumer newsstand titles or custom magazines like in-flights. 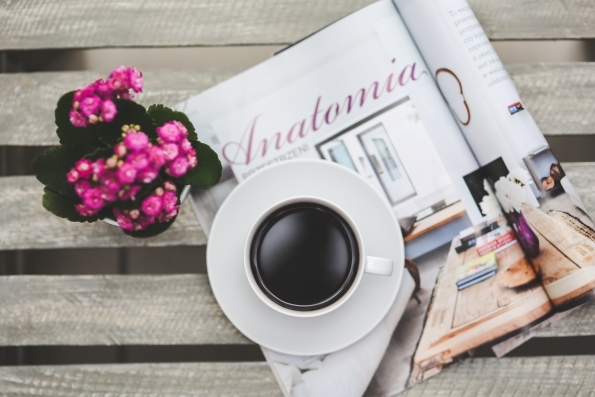 These magazines work quite differently than custom and consumer titles in many ways, notably editors pitch you ideas rather than the other way around, making your hourly rate go way up. Some trade editors will even provide you with interview sources! Trade magazines are the single best way to establish a clear pipeline of assignments and also maximize your hourly rate when writing for magazines, and we’ll look at how, why, and how to get started writing for them in this webinar.